Do you wish to live and work in Europe but do not have a job offer from a European employers, but are sure of your ability once you reach the continent? If yes, then you will be able to find a suitable job for yourself. Now what are you waiting for? You may apply for Denmark Green Card. It proffers an opportunity, especially to the non European Citizens to come to the country and search for a job. 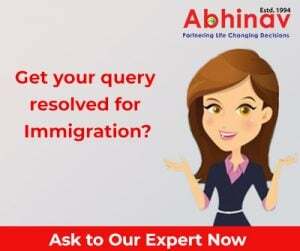 To start with, a temporary visa is issued for two years which can be extended further for three more years, provided you successfully meet the certain conditions. If the applicant meets the eligibility criteria, then he gets a visa to country within 20 to 30 days, and once he finds a job he/she is immediately issued a Denmark Green Card. The permit gives you an open opportunity to live and work anywhere in the EU. In fact, it is the best opportunity for those who aspire to give new height to their career in the EU. This beautiful Nordic country is better known for its growing economy, high standard of living and picturesque beauty. Its citizens embrace their cultural heritage and are proud of their personal freedom. As compared to other EU countries, it is a small country with a long history proudly celebrated at various occasion. It is a point based system each applicant gets an equal opportunity to score points on the basis of education, age, experience, adaptability and language proficiency. In order to become eligible they are required to score at least 100 points. Applicants with Masters Degree in any subject are likely to score well, and if your choice of profession is facing serious shortage in country, then the chances are your application will be fast processed. Under the Denmark Green Card, immigration to the country has been on its all time high thanks to some of the top benefits associated with the permit and several employment opportunities available in various sectors. As per some reports, various Danish companies are facing a shortage of skilled workers. Green Card compliment both employers and the employees. It is one of the easiest and the fastest passage for skilled workers to settle in Europe. The Green Card allows you to acquire the country’s Permanent Residence (PR) within seven years of your stay in the country. It extends the benefits and status to your family members as well which means they as well are treated at par with the primary applicant. Green Card holder may travel to Schengen zone and the EU without getting through any tedious visa process. The ‘Happiest Country in the World’ has some of the best educational institutions. Applicant may pursue higher studies or else his children are entitled to acquire the best knowledge. Card holders are eligible to purchase a property in their name, or buy a health insurance policy. What Are Top Benefits of UK Tier 1 Visa? Want to Know Which Are Best Countries for Indians, For Work Purposes?